While I continue to try to push through the next week and end March on a high note, it is becoming increasingly difficult. Today was the first 12U softball practice, and in 40-degree weather, it made my back tighten up again. At least now, I am snug in my recliner and catching up on the blog. 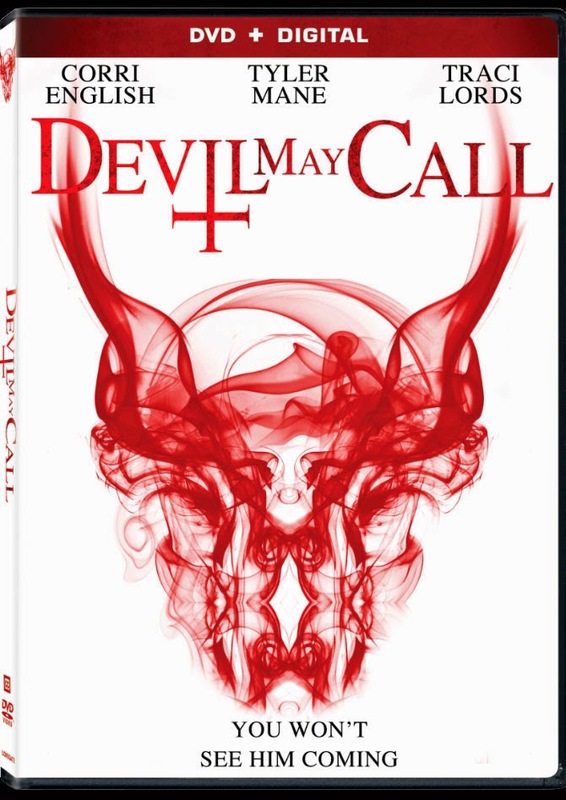 Next up for review is the 2013 thriller, Devil May Call. Plot/ A young, blind operator for a suicide hotline descends into a night of unrelenting terror when an obsessive caller turns out to be a serial killer. As a former Navy Chief, I am drawn to Sci-Fi movies that involve the best service branch in the world. In fact, because I have moments where I miss the camaraderie and the duties, I often jump at a chance to pick these up when I see them. That was the case with my next review, 2015s Subconscious. 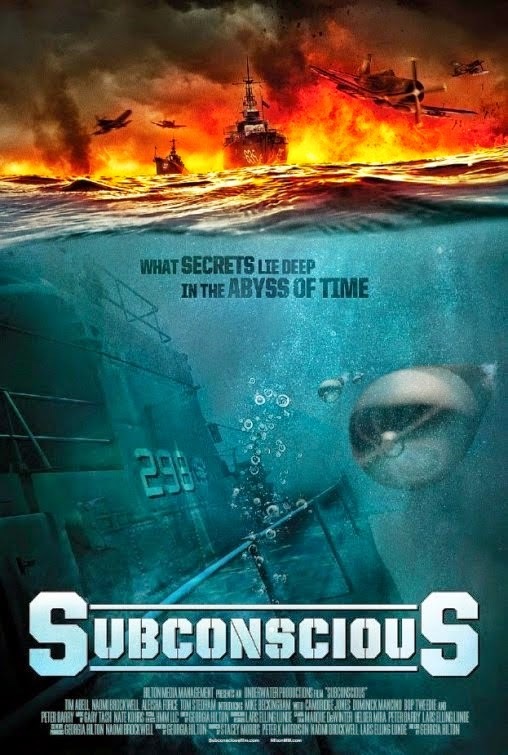 Plot/ An investigation into a retired WWII sub plunges a research team into a supernatural journey across the dark abyss of time - with history hanging in the balance. Every once in a while I wander through the video store hoping to find something that I had not heard of. That was the case with the next flick up for review here at The Ringmaster’s Realm. The one is the oft-delayed horror/thriller Something Wicked from 2009/2014. Plot/ As a young couple embarks upon their wedding plans, gruesome secrets from their past collide with sinister forces of the present to ensure these newlyweds do not live happily-ever-after. I have been stuck inside a very retro mood lately. Between listening to classic folk music on my drives and watching 1950s low budget Sci-Fi, I have been living in a nostalgic dream. 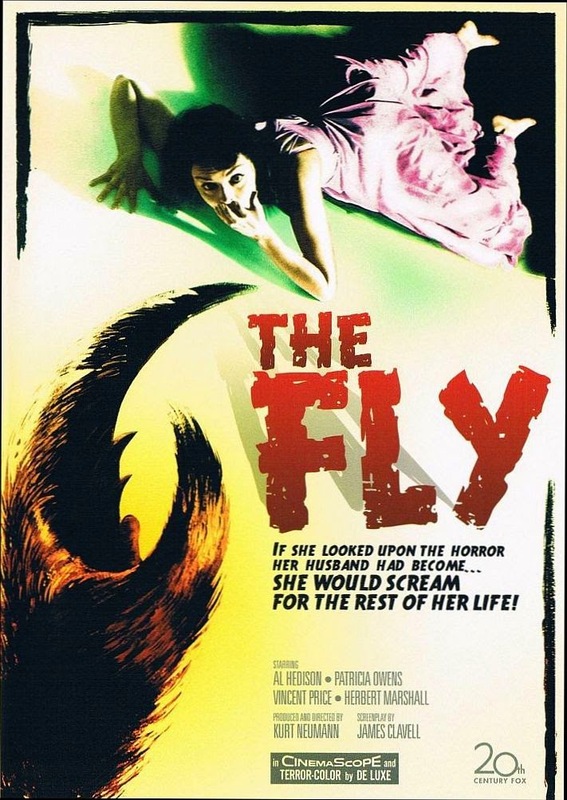 Next up for review is another movie from that era, the 1959 Vincent Price classic, The Fly. Plot/ A scientist has a horrific accident when he tries to use his newly invented teleportation device. What can one say, The Fly is a classic, and one of the best insect flicks of the 1950s. Starring Vincent Price, this movie has absolutely zero scientific merit, but it is definitely one of the most entertaining and memorable of the genre. The atmosphere is amazing, the performances solid, and the special effects were quite impressive for the day. Most importantly, the ending left a lasting impression on the viewer, and one that will be etched into their minds. In the end, this movie is a true classic and a movie that should be seen. Yes, the David Cronenberg remake was good, but this classic is better. Last week was one miserable experience. Between car troubles, a trip to the hospital, and the development of some severe back pain, I was about ready to go insane. Luckily, my back seems to be clearing up and things are returning to normal and I can kick back and focus on the blog. 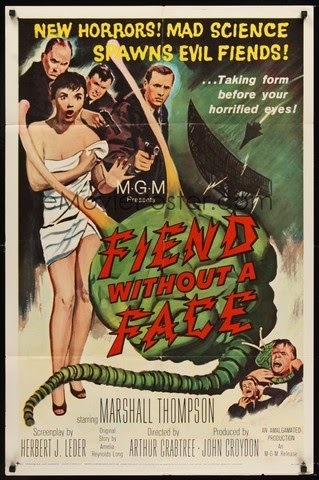 Next up for review is the 1958 classic Fiend Without a Face. Plot/ Invisible atomic monsters attack a U.S. Armed Forces base and the local residents. Fiend Without a Face was exactly what the doctor ordered for the weekend, as I wanted to dive into some classic Sci-Fi with an edge. While it may seem a touch dated today, much of the movie stands the test of time considering the era. Honestly, when the invisible creatures came to life it was awesome, and the effects should be considered top tier for the age. The effects are solid, the performances were outstanding, and there were many things in this that made an entertaining watch. In the end, this was an outstanding flick and one that should be seen. With my homework out of the way last night, I figured it was time to relax. After searching Netflix for something fun, I decided that I needed some action to help get my blood flowing. 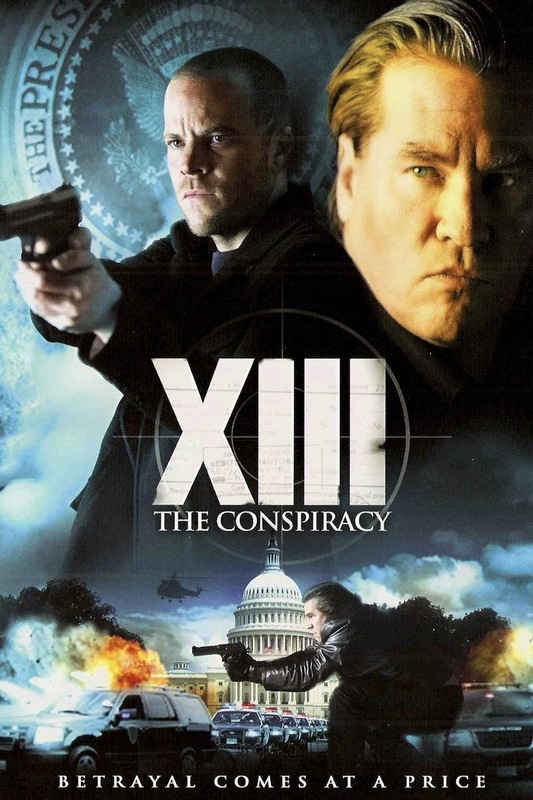 After some inner debate, I decided that XIII: The Conspiracy from 2008 was just what I needed. Plot/ The first female US President Sally Sheridan is shot dead by a sniper during her Veterans Day speech. Her assassin narrowly escapes the scene with his life, national security hot on his heels - or so it seems. On the run, clinging to one desperate clue after another, XIII begins to piece back his life, fragments of his memory. Saturday should be a day of rest. Unfortunately, for me, I had to make the trip to the institute for an open house event. 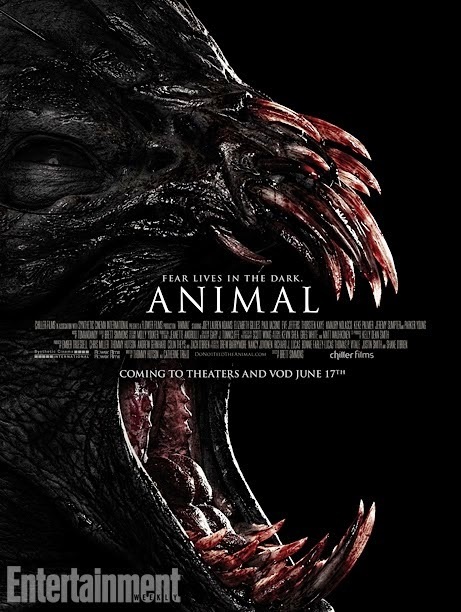 Now that I am finally home relaxing, I felt it was time to dive into something rather mindless; my choice was the 2014 Chiller Films flick Animal. Plot/ When plans for a weekend vacation hit a dead end; a group of close-knit friends find themselves stranded in unfamiliar territory, pursued by a menacing and bloodthirsty predator. This has been one frustratingly long week. Between car issues, flooding streams, a blizzard, working late, and subzero temperatures; this one had everything to keep me overwhelmed. With the weekend finally here, it is time to take a step back and get on track with the blog. 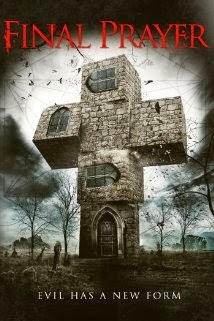 Next up for review is the 2013 found footage flick, Final Prayer (AKA The Borderlands). Plot/ A team of Vatican investigators descends upon a church in a remote area to demystify the unusual happenings, but what they discover is more disturbing than they had first imagined. Now that I have finally finished my physics class, I can possibly dive into some more creative outlets. Unfortunately, it took a couple days to get back into the swing of things. Now I am ready to roll (at least, I think I am). Next up for review, the 2015 flick: The Intruders. Plot/ After the traumatic loss of her mother, a teenaged girl tries to uncover the dark secrets behind her new home, in spite of her father's disbelief.